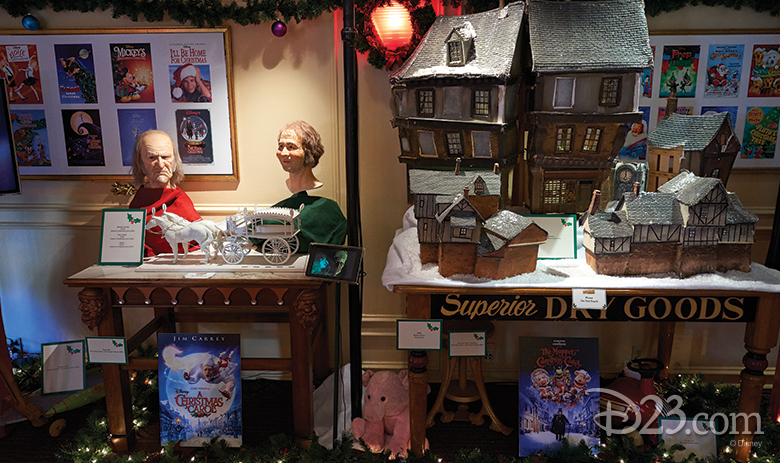 On December 8, 2017, the Walt Disney Archives presented Holiday Memories from The Walt Disney Archives—their first winter holiday exhibit on The Walt Disney Studios lot in more than 10 years. 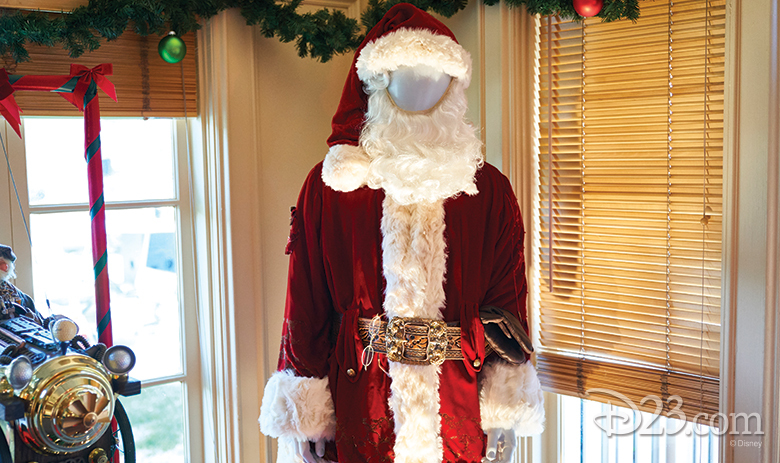 Cast members had the opportunity to view 150-plus holiday-themed historical objects from the Archives collection that were displayed inside the historic Hyperion Bungalow. 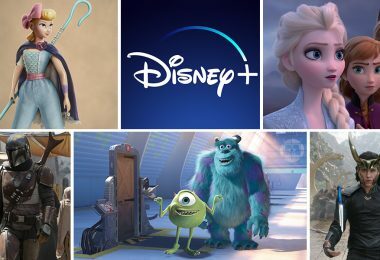 Two days later, on December 10, D23 members were treated to festive food and craft offerings around the lot, holiday entertainment (including a screening of Have Yourself a Goofy Little Christmas), and the chance to visit the exhibit. 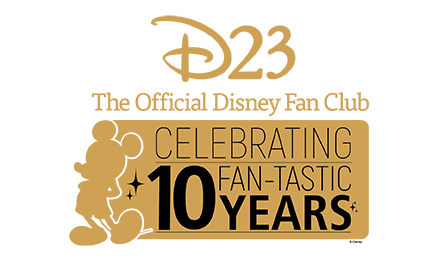 Through a careful selection of holiday objects, the Archives shared memories that included original art, props and costumes from The Walt Disney Studios, Walt Disney Parks and Resorts, and well-known Disney films. 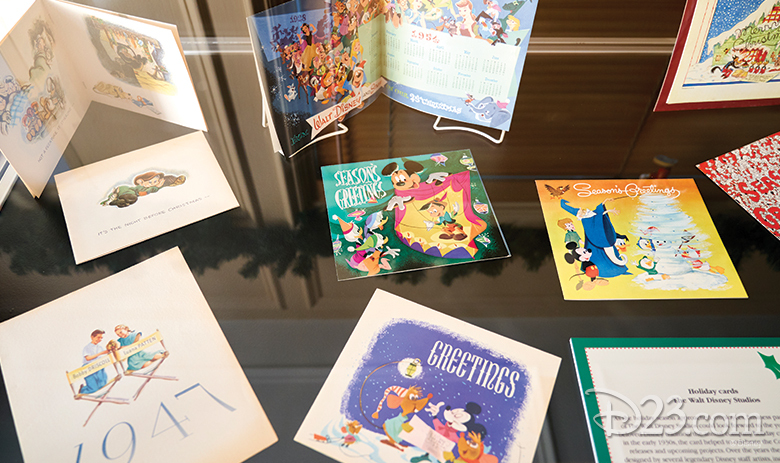 Beginning in the late 1930’s, artists at The Walt Disney Studios created one-of-a-kind artwork for the annual studio holiday card that would be sent to employees, business partners, and friends of Walt Disney. Several pieces of original art were restored and framed for presentation in the Holiday Memories exhibit. 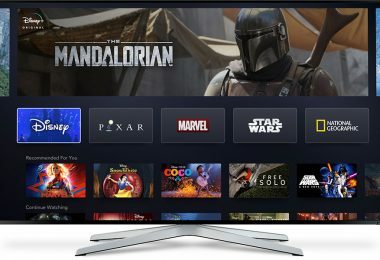 The art often reflected the latest film release from the Studio, or looked forward to banner releases for the coming year. Included in the exhibit were works representing Bambi (1942) and Mary Poppins (1964). Mickey Mouse even had the honor of representing 1948! 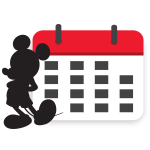 The holiday art from that year depicts Mickey in his pajamas and nightcap carrying a lighted candle. 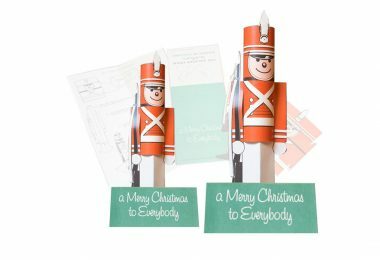 The glow of the candle projects a bright snowflake image and is accompanied by the holiday sentiment, “Seasons Greetings.” Each year, the interior of the card contained more original art plus a monthly calendar for the upcoming year. The month of December was always a special time for Walt Disney. 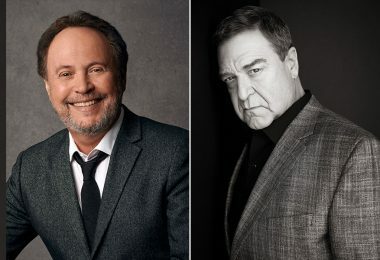 Along with the holidays, there were several Disney family member birthdays to celebrate during the last month of the year. Walt’s staff kept meticulous records of the many gifts that Walt and Lillian would send, not only to immediate family but also to an extended family of performers, directors, and studio cast members. The Walt Disney Archives was pleased to present a couple of the card and gift lists that were once kept in Walt’s private business office. 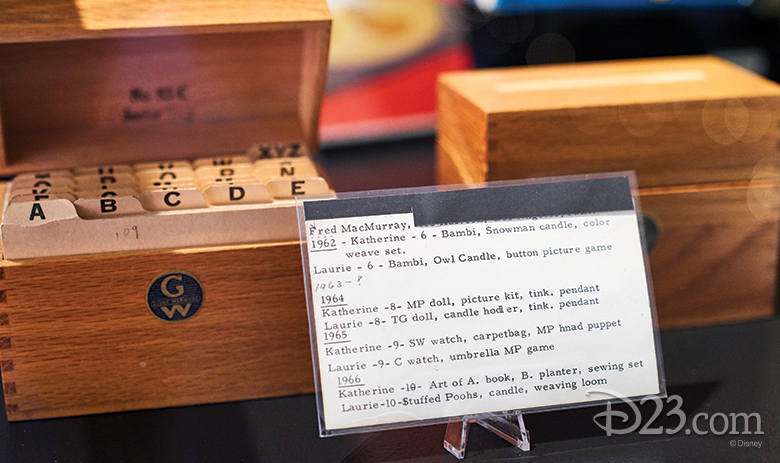 In the exhibit, an index card labeled “Fred MacMurray” lists the gifts that were sent to Katherine and Laurie, Fred’s daughters, over the course of several years. 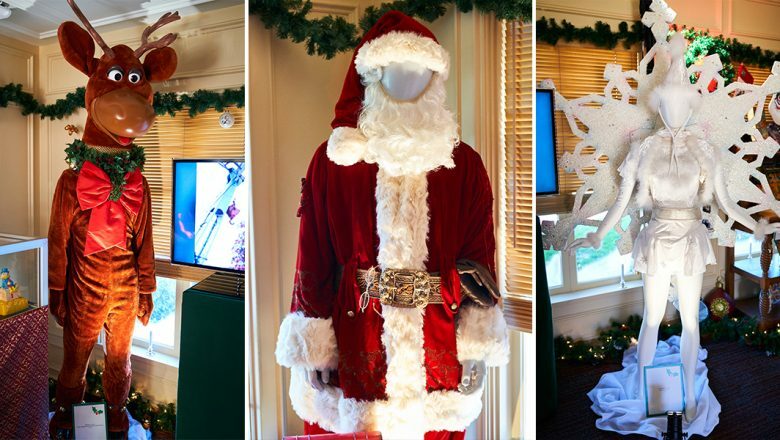 It is during the holiday seasons when Walt Disney Parks and Resorts really sparkle, and helping to make special holiday memories are the festive parades and classic seasonal merchandise. The reindeer character costume from Magic Kingdom Park at Walt Disney World stands at a towering height of 8-feet, 6-inches. Parade dancers also marched while carefully maneuvering a 5-foot-wide snowflake as part of their holiday costume. 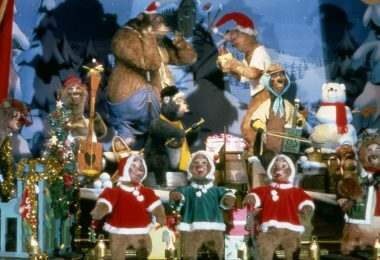 Country Bear Christmas Special was a seasonal treat at Disneyland Park from 1984–2000. 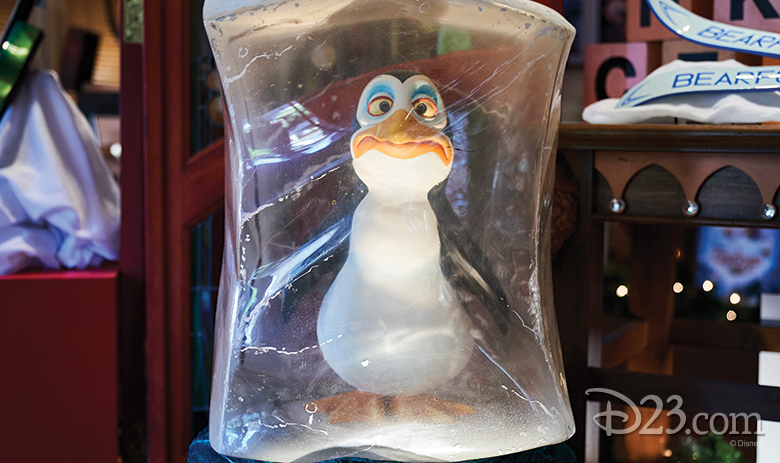 In the show, Liver Lips McGrowl played a custom electric guitar designed to resemble a Christmas tree and a penguin, shivering inside a ice cube, was enlisted to assist Terrance in his frosty rendition of “Blue Christmas.” Imagine the excitement of Archives staff when it was discovered that the attraction’s penguins were still in working order and ready for the show to go on! 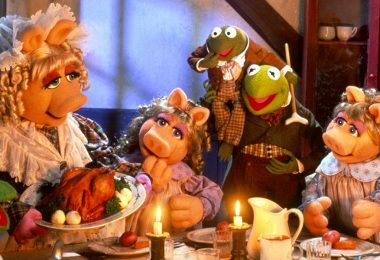 Charles Dickens’ A Christmas Carol has been interpreted by Disney in three major films—Mickey’s Christmas Carol (1983), The Muppet Christmas Carol (1992), and Disney’s A Christmas Carol (2009). We selected a variety of development art, models, and miniatures from the Archives collection that were used in the production of the three films. A special holiday treat was the chance to see the hat, scarf and shoes worn by the Great Gonzo in The Muppet Christmas Carol. Thank you to our friends at The Muppet Studios for loaning the priceless costume pieces! Another favorite holiday film, Babes in Toyland (1961), featured beautifully detailed costumes designed by Bill Thomas. The red cape with white fur trim was worn by Annette Funicello as Mary Contrary while a white suit with red silk underlining was worn by Tommy Sands as Tom Piper. Tim Allen portrayed Santa Claus in three movies, The Santa Clause (1994), The Santa Clause 2 (2002), and The Santa Clause 3: The Escape Clause (2006). On display in the exhibit was a large variety of props used in the film, as well as several costumes, including one of the smallest costumes in the Archives collection, Judy the Elf. 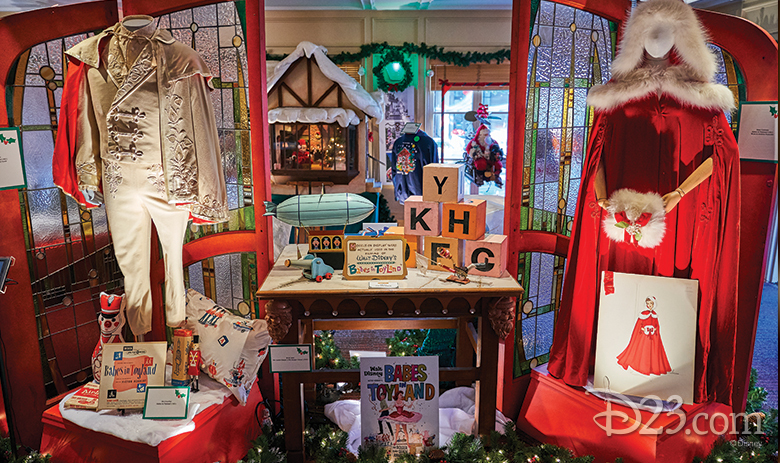 At the close of the exhibit, more than 2,000 Disney cast members and D23 members had visited the Hyperion Bungalow—and hopefully created a few holiday memories of their own to cherish for years to come!